Posted in 2016, Greg Curry and tagged 2016, Black Lives Matter, Greg Curry, interviews, Lucasville injustice, Prison strikes, prisoner support, Siddique Abdullah Hasan, The Final Straw on September 27, 2016 by Justice for Lucasville Prisoners. Greg speaks about the Lucasville Prison uprising, supermax prisons and solitary confinement, and the September 9th National Prison Work Strike. Lucasville Rebellion Survivor Greg Curry speaks with BlockReportRadio.com about the September 9th National Prison Strike, his comrade Imam Saddique Hasan being placed in the hole by the Ohio prison authorities to disrupt his part in organizing the national prison strike, and the personal plight of prisoner Greg Curry. Tune in for more at BlockReportRadio.com. Free’Em All! This interview was recorded for BlockReportRadio.com by The People’s Minister of Information JR Valrey. Valrey is the author of a number of books including the upcoming “Halfway to a Hundred: Dispatches From the Black Panther Party.” Tune in for more at BlockReportRadio.com. Posted in 2016, Greg Curry, life sentences, Lucasville, prison uprising, SHU and tagged 2016, BlockReportRadio, Greg Curry, JR Valrey, Lucasville prison uprising, National Prison Work Strike, Sept 9 2016 National Work Strike, Siddique Abdullah Hasan on August 12, 2016 by Justice for Lucasville Prisoners. This week we commemorate the 23rd year passing after the Lucasville prison uprising / riot / disturbance (April 11-22nd, 1993). Nine prisoners and one officer were killed during the 11-day uprising, which ended in a 21-point agreement, brokered by a few prisoners who showed great responsibility in keeping control and order. They would later be indicted and charged and convicted, to receive death penalties. Many innocent prisoners were indicted because they refused to be used as informants for the state. This tragedy is still making victims, by still keeping at least 9 people locked up who have always proclaimed their innocence. Five of these are on death row: Keith Lamar, Siddique Abdullah Hasan, Jason Robb, George Skatzes and Namir Mateen (James Were). We encourage you to lend your hearts and ears to the true account of how lies and corruption lead to the conviction of innocent men during the 1993 Lucasville riot. The men were singled out and used as scapegoats because they would not lie and take part in the department of rehabilitation and corrections (DRC) broader political scheme to bilk the Ohio tax payers out of money and persuade the state to use this money for a supermax prison. Kunta: I understand you’re indicted on two counts of aggravated murder in a major prison riot? Greg: Yes. On April 11th, 1993 at the maximum security prison in Lucasville Ohio a riot took place. At its conclusion I was indicted on two aggravated murders for the deaths of two prisoners during the riot. At trial I was found guilty of one, and given 20 to life on the other. By chance I (not a lawyer/judge/prosecutor) was able to discover by conversation that someone else had already plead guilty to murdering this victim by himself under circumstances and location far different from that which the prosecutor was accusing me of. So I told my lawyer and strategically the lawyer failed me by telling the court, which just switched the charge, correcting a reversible appellant error, from aggravated murder to attempted aggravated murder. I received 15 to 25 yrs. After I do 20 to life consecutively. Kunta: Did you bring in a paid attorney? Greg: No, I couldn’t afford legal counsel and I don’t believe in burdening my family even if by chance they were willing to take on such debt. I also felt in no way I could have been found guilty when I was never inside the prison block once the uprising began. Kunta: What do you hope to accomplish by risking an open interview? Greg: I don’t see it as a risk first of all. To imply risk would be to assume I have something to hide. I’m doing interviews, passing out flyers, requesting law schools and firms help at all forms where injustice is the topic. Also I direct people to a website (Ourfight4innocence.wordpress.com) that gives the complete and official account of my claim of innocence. I believe once people know, their their heart will require an involved response. Kunta: What keeps you trying to prove your innocence? Greg: Actually I grew frustrated at the transparency of the backwood justice and policies. I tried not to think about the injustices but my children need me home. I owe it to them to get there, my parents are getting older and I’m innocent [note: Greg’s father has since this interview passed away]. Kunta: What legal issues do you have should a court accept this case? Greg: I have multiple issue ranging from ineffective counsel on trial and direct appeal, prosecutor misconduct, such as hiding and refusing to turn over all discoverable material including at least 100 exculpatory statements that clearly point to others as the perpetrators. – Wesener v. Straub 110 Fed. Appx. 618, 625 (6th Cir. 2004) (see: Napue Nightmares: Perjured Testimony in Trials Following the 1993 Lucasville, Ohio, Prison Uprising, Staughton Lynd, in: Capital University Law Review 36 (2008): pp. 559-634 [linked to on http://publicdefender.mt.gov/training/09/Annual09/LyndLawReview.pdf ]. My defense was largely based on “a bunch of paid liars saying anything to get out of charges and prison.” All the witnesses and both the prosecutors swore every sentence that there were no deals given in front of my jury under oath. Members of my jury requested to know, because that would matter in their decision-making. On direct appeal, the same two prosecutors admitted they gave my star witnesses a deal (a parole to a convicted murder[er] who admits to being part of a “death squad” in the riot, with no new charge). This information is on the website using court documents not speculation. See for yourself at Ourfight4justice.wordpress.com. Kunta: What proof of your innocence do you have? Greg: I was never inside. I had at court many non-riot-related prisoners as witnesses and one staff-member who was my job supervisor, testifying to my whereabouts. No officer or people without something to gain accused me. Since my convictions I’ve gathered many police statements stating prisoners accused others of these crimes, but the prosecutors hid them until after my trial so that my name couldn’t be cleared. Kunta: If there was no officer present or in control, how does the State go about sorting out personal vendettas and otherwise “he said/she said”? Greg: This question is at the heart of these convictions. It was said many times by those investigators: you help us or you become a target. I knew nothing so I couldn’t help. When you read the investigators’ statements you will see at first a person knew nothing, then he knows everything as if he was reading a script, and when he knows everything, the recorder happens to be on, and the hint of favors begin to enter the picture on tape and / or in the statements. You can read people being “guided” along. Some witnesses even admit they didn’t like me. It was all about convictions, getting people convicted. Kunta: Briefly give me an idea of the area where the prison is, the court location and how that may have a effected a fair trial? Greg: The prison is in Southern Ohio in the hills connected to Kentucky and West Virginia. Very rural European-dominated area by far. The prison is the driving force to the economic stability. The courthouse sits right in the center of town about 15 minutes from the prison in a place called Portsmouth; racial tension is historic in that area, especially in that prison. Just a few years before the riot a white female prison teacher was killed by a black prisoner; that never sat well and the wound was burst wide open on April 11, 1993. Of the 50 or so indictments, over 40 were against black prisoners. The white officers mostly refused to testify on the “Aryan” prisoners. Of course the jury pool was all European. Kunta: Why in your opinion hasn’t the judicial system worked for you? Greg: The judicial system is meant to work for its founding fathers’ offspring and it mostly does work for them. In that climate at that time it would have been a riot in the streets had I won the case. From lack of funding, lack of investigation, court decisions, prosecutors’ behavior, jurors’ frame of mind, etc. I didn’t have a chance, and since the appeals process reviews only the trial record, the lawyer must put something on record, and his ability was limited, assuming his heart was sincere. We want to believe that about everyone. The Columbus Public Defenders Office requested I send all my legal work to them for possible post-conviction. During the direct appeal process I sent it in. They sat on it 8 days before my time would expire, then they turned over 1,000 pages of material and said “your time is almost up, rush something to the courts” (yeah) and I know nothing of the law, but I did what I could. I tried to explain to the courts what happened and to please allow me more time. I never got a response, but I did as soon as possible put my best effort before them, again to date never receiving a response. On direct appeal everything was “harmless error” or a non-issue. Remember this is a major event in Ohio and I’m dealing with Ohio courts, judges, prosecutors, and court-appointed lawyers who receive their pay from the same source. I actually filed more motions than my appointed lawyer to start a double murder trial in a highly inflammatory environment that – by the way – he grew up in; also his office is right across the street from the courthouse. It was April 1996, I sent my post conviction material and all legal work to the Columbus Public Defenders Office. They held it until September 13, 1996: 8 days before the deadline. Kunta: Do you know any of the victims’ witnesses for the State, or other accused? Greg: No, I don’t know either of the people I am accused of killing and thus never knew their background or character. A few of the witnesses for the State (my accusers) I did know casually, none intimately that we were of shared thought or ideals. I know a few of the people also indicted for murder, of course I know them all now. I also knew my parents and sons, who are also victims of this false conviction. Greg: The climate was convictions, and so I was a magnet for treatment others didn’t face. I fit once they decided my good friend was a satisfactory fit, his partners would be the natural targets. In prison it’s a common procedure: if anyone gets in trouble, the administration will ask who he runs with? Go get them! Prisoner-on-prisoner incidents happen the same way: you fall out with one, you fall out with both or have to assume as much. Everyone has a partner and so it’s easy to clean up a bad situation by taking out partners, plus the person telling knows or again assumes “I can’t take one down without taking them both, or I put myself at risk,” and this was a serious risk. Kunta: if I’m a law-abiding citizen that believes our judicial system works and is always honest in its pursuit of justice, what can you point to in the record of the contrary? Greg: I repeat: please visit Ourfight4justice.wordpress.com, and look at the court documents that can be provided additionally. This isn’t “he said, she said,” it is official; I’ve given the prevailing case law. The law is clear, the documents are real, and so I expect the ideal that the judicial system works, but please verify. Realism over idealism. Each of you can become active to make your government work for all the people in all situations. Kunta: How many people were charged with the same crime? Greg: No less than five, and then we were all tried separately as if they (we) were the principal offender. Yes, all were found guilty. Kunta: I understand that the community signed a petition asking for the death penalty and other punitive measures against prisoners before indictments or trials, and many of them [the signers of this petition] sat on jury trials? The latest update on Greg’s case is that he had filed a motion to the courts “to be heard,” and the court ruled that he had the responsibility of telling the court that the court failed to rule. So the court denied Greg’s appeal as “untimely.” This was around 2013. Since then, his case has not moved. Every day in solitary confinement is one too many, and every day in prison is one too many for Greg and the other people who have been cheated out of their lives by corrupt and uncaring state/court officials. You are much needed as a supporter in any way you can deem useful: for instance, writing Greg to keep his spirit up, and/or spreading the word (we have flyers, websites) about the injustices done in the aftermath of the Lucasville prison disturbance, are simple ways to help. You can also go to Jpay.com and write him via an email-system. Kunta Kenyatta was in the Southern Ohio Correctional Facility in Lucasville on the other side from where the riot took place. He knows the innocent people who were falsely indicted after the riot and he knows what the environment and the mood was like before the uprising and disturbance. Kunta has been active in prisoner support; he was released years ago and has successfully rebuilt his life, which still includes supporting prisoners. He lives and works in Ohio. Annabelle Parker is a prisoner advocate, permaculturist and (web)editor. 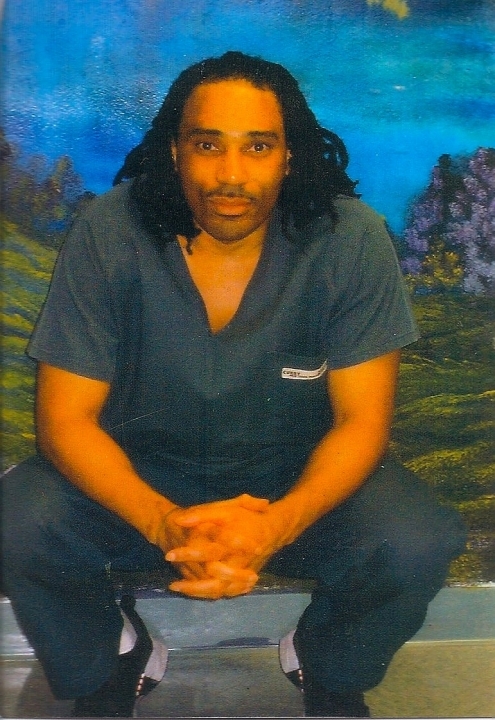 Posted in 2016, Greg Curry, innocence, justice, Lucasville, prison uprising, snitching and tagged 2016, 23 years of Lucasville injustice, commemoration, corrupt prosecutors, deals with prisoners, false deals, Greg Curry, informants, interviews, Kunta Kenyatta, Lucasville prison uprising, Ohio, racism, snitches, undisclosed deals on April 11, 2016 by Justice for Lucasville Prisoners.